Super Bowl Sunday goes hand-in-hand with delicious foods like pizza, wings and sliders. 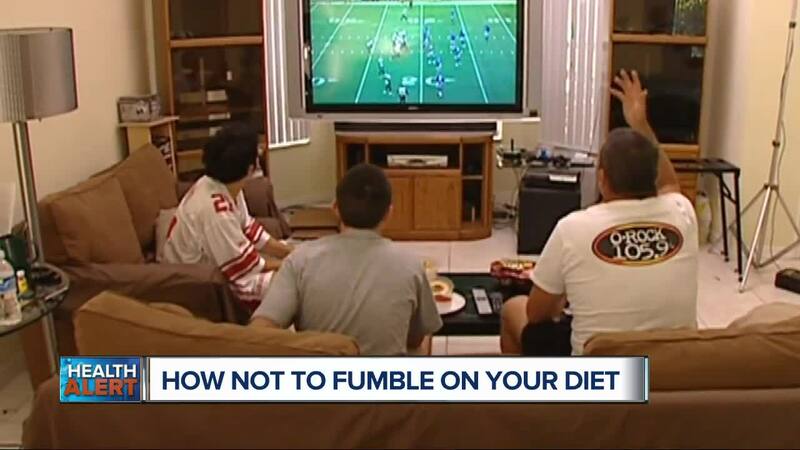 But what if you’re trying to lose weight or watching your calorie intake? Is it possible to indulge without wrecking your diet? Question: What advice do you have? It can be a dieter’s worst nightmare. Nothing tests your healthy eating lifestyle like a Super Bowl game party. But I believe it’s possible to indulge a bit, without completely wrecking your diet. So here’s what I strongly suggest that you do: bring a couple healthy dishes to share. And then fill up on those first before deciding what to eat from the array of tempting party foods. Question: Is there a healthier way to cook some of the traditional Super Bowl favorites? Absolutely. There are endless recipes on the internet that offer healthy ways to cook Super Bowl classics. Also, you can use an air fryer to cook foods like potato skins, wings or any traditionally fried foods. Air fryers don’t use a lot of oil so your calorie intake, along with inflammatory fats, are much lower when compared to deep-frying. And you still get that crispy outside layer that many folks love biting into. Question: So what if you show up and suddenly have the urge to go crazy on the party foods? 1. Do not go to the party hungry. That will be your biggest mistake because your body will prod you to eat and it’s not going to care what foods you choose. 2. Eat healthy foods high in protein and fiber first. They’ll keep you feeling full longer. 3. Watch that you don’t drink a ton of calories. I recommend you alternate between high-calorie beverages like beer and soda, with healthier options like seltzer water or lemon water. 4. Give yourself permission to eat something you love. Because if you feel deprived, iron-clad willpower may not be enough to stop yourself from overeating. And I’ve said this plenty of times, follow the 80-20 rule — 80 percent of the time eat healthily and leave 20 percent for special occasions. And I can tell you that Super Bowl Sunday is definitely a special occasion.